Evidence has emerged that Nvidia is working on a new Shield Controller and a new Shield Remote. The two peripherals, codenamed 'Stormcaster' and 'Friday' respectively, have been unearthed in the latest Nvidia Shield TV box ROM update. While the references to these devices don't necessarily mean corresponding hardware will make it to market, some reports say that new controllers indicate an update to the Shield TV box itself is on the cards. For the record, the last update to the Nvidia Shield TV box hardware was back in 2017. Many users are still enjoying using these boxes, that continue to be supported by Nvidia with software updates and so on. The entertaining little box packs in an Nvidia Tegra X1 SoC, like the Nitndo Switch, and is good for gaming, games streaming, entertainment streaming, and lots of other TV-connected fun. XDA Developers notes that the 2015 Shield TV (codenamed Foster) shipped with a controller and remote codenamed Blake and Jarvis respectively. Then the 2017 Shield TV (codenamed Darcy) came with a controller and remote codenamed Thunderstrike and Pepper respectively. Two years later one might believe the recently unearthed 'Stormcaster' and 'Friday' might also come when an updated box is revealed. "It's fairly standard practice for various concept codenames to appear in codebases. Those references remain even when it becomes unlikely that the concept ever goes into production. We can't comment on which codenames refer to product concepts that are active vs which ones are inactive, as it can be fluid. However, I can confirm that none of the codenames below refer to products that have launched publicly." Another tech site has taken the above Shield TV shaped story and run further with it, by linking in the news that an Nvidia developer is working on a project dubbed 'Project R.O.N.'. PCGamesN reckons Project R.O.N. 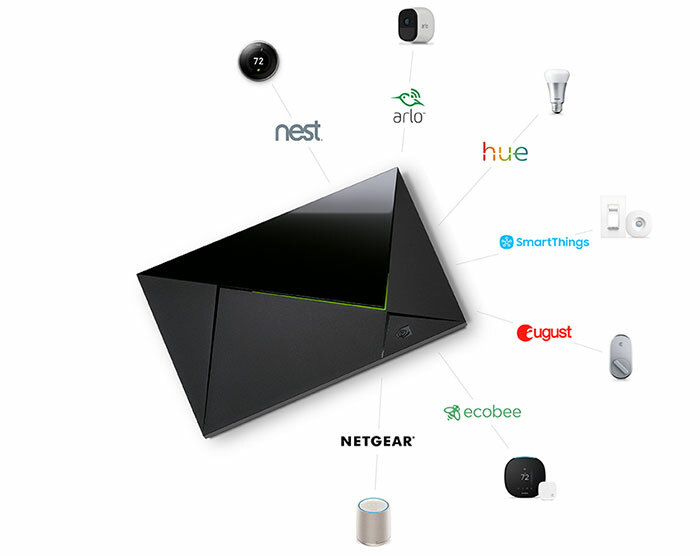 could be a new product that takes the Shield TV and rolls in Google Home influences, as well as holographics and AI... It seems quite plausible that Nvidia could launch a crossover product which would cover smart speaker and TV entertainment functionality in one device. 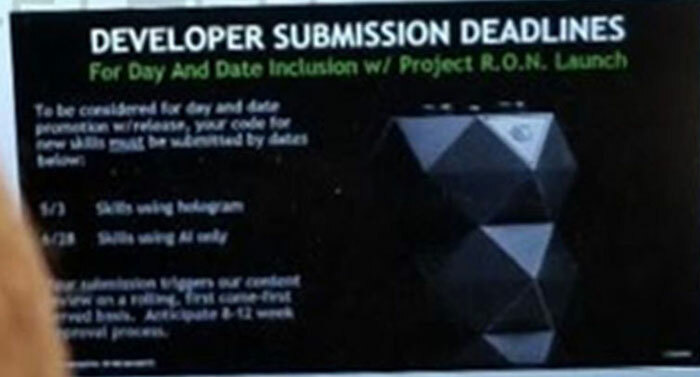 Blurry shot highlighting the mysterious Project R.O.N.